Home » Blog » What is a schwa? What is a schwa? A schwa is a weak sound of any vowel. A schwa is a name given to a weak sound of any vowel. The a sound, as in sep•a•rate is a schwa because it is a weak sound of an a that is barely heard. More examples of a schwa sound are in beggar, souvenir, credible, memory, and virus. 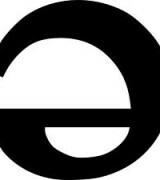 The dictionary symbol for the schwa sound looks like an upside-down e like this ə. It is this weak sound of a vowel that is often confused with a different vowel sound. For instance, the a sound in sep•a•rate is weak and it is often confused with an e sound. It is this weak sound of an a that is called a schwa sound. The stress in a word is on other syllables, but never on the syllable where the schwa is. Again, the schwa is the unstressed sound of a vowel in a word, which is vaguely heard. Give back! Share, follow, or leave a comment! How do you get dyslexia?